The 99-Cent Only store will appeal the Elk Grove Planning Commission's denial of their proposal to rezone a 3.48-acre parcel on Elk Grove-Florin Road to build a stand-alone facility. The appeal will be heard by the Elk Grove City Council at their regular Wednesday night meeting. The planning commission denied the application citing concerns including the inventory of available retail space within the city and security considerations. In order to build the store, the parcel will need to be rezoned from office to commercial use. The staff report says "The proposed land use change would be consistent with the existing Bel Air Village Shopping Center abutting to the north, which has a land use designation of Commercial. 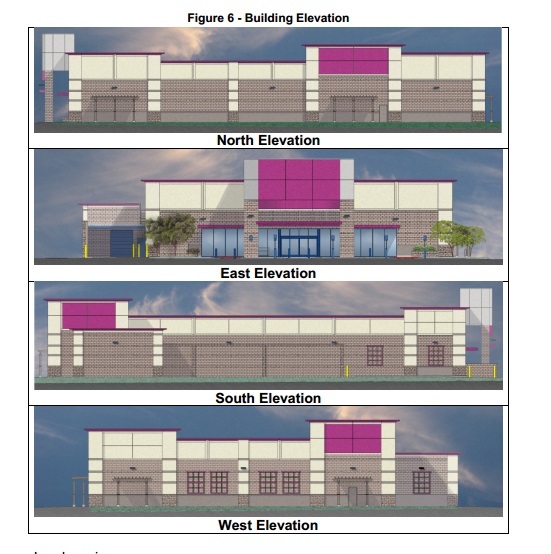 Thus, the proposed retail development would be a logical extension of the shopping center." Wednesday night's meeting starts at 6 p.m. I hope they greased the skids beforehand, or they are going down! Aaah, rezone is the cities midddle name....NO PROBLEM! Discount stores and Fast Food is what we're made up of...that's our jobs market. It is a very depressing testament on how easy it is to predict how the city council will vote on these appeals and other controversial projects. All one has to do is look at what campaign contributions were received and how much. The people be damned, the votes follow the money contributed. Name one controversial project that didn’t start and end with how much money was dumped in the council coffers? I will save you the trouble of pouring over the council agendas, there hasn’t been one! Nothing has been denied of late and the planning commission appeals have all been overturned. IMO, it is very apparent they have sold their souls to developers! However, because the people who pay attention know this to be true, and aren't afraid to say so, this project may be the sacrificial lamb as no big money was contributed here. Elk Grove home to numerous fast food joints, all you can eat buffets, 99 cent store, nail salons, garish illuminated billboards, check cashing stores. What is next? Pawn shops, head shops, vape stores, indoor shooting ranges? I believe there are a couple of indoor shooting ranges in town. Questionable massage parlors and lots of other low paying businesses so why not add one more business that will improve the housing to job ratio. The Mayor does not want to attract high paying businesses so I am sure this project will be a 3 or 4 yes vote. Elk Grove..... The new Stockton.